We Believe that We Can Win! What are the prospects of an urban populism that requires people of color and white millennials to combine forces? Why the Verizon strike is a wake-up call for the labor movement facing technological change. Will justice come to the new factories in the field? Workers should make common cause with consumers to break up corporate monopolies. Corporate America’s campaign to dismantle the public health care system for veterans. 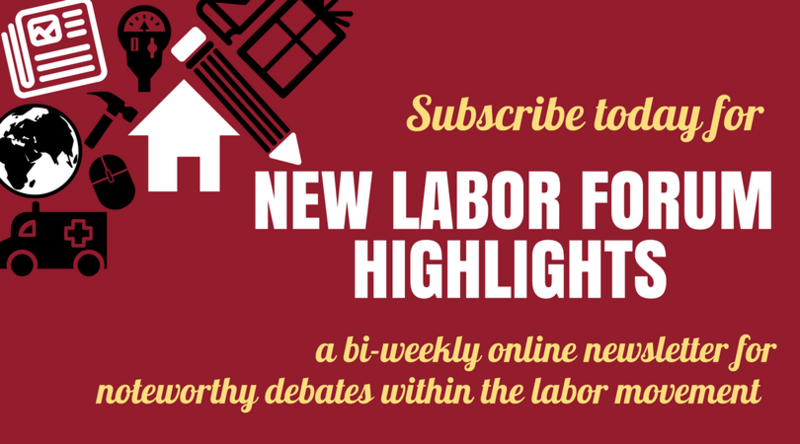 Can Russian workers stand up to the Putin oligarchy? Can prisoner and their guards unite against the prison-industrial complex? Is the affordable housing crisis really an income crisis? Standing Rock Solid with the Frackers: Are the Trades Putting Labor’s head in the Gas Oven? 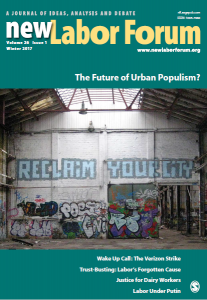 ← The Future of Urban Populism: Will Cities Turn the Political Tides?